Whether he is discussing our origins as archaebacteria or the politics of trench warfare, physician-scientist Lewis Thomas is always insightful and exuberantly engaged in his world. This collection of essays deals with everything from AIDS to ozone depletion, and reveals the author’s clear thinking and his ability to cut through the fog of modern problems. In The Lives of a Cell, Dr. Lewis Thomas opens up to the listener a universe of knowledge and perception that is perhaps not wholly unfamiliar to the research scientist; but the world he explores is also one of men and women, of complex interrelationships, old ironies, peculiar powers, and intricate languages that give identity to the alienated and direction to the dependent. This remarkable work offers a subtle, bold vision of humankind and the world around us - a sense of what gives life - from a writer who seems to draw grace and strength from the very substance of his subject. 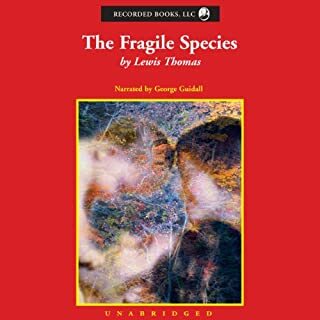 This collection of 24 essays is a perfect introduction to the world of Lewis Thomas. Topics ranging from the riddle of smelling to nuclear proliferation carry the gentle, unassuming persuasiveness that characterizes the author’s work. 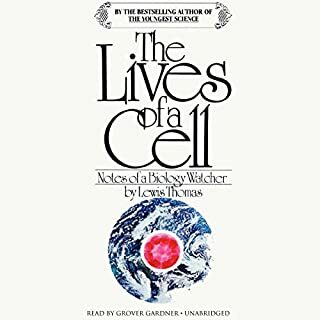 Here we are also introduced to the concerns that have distinguished Thomas’ literary career: the natural altruism of organisms; the inter-relatedness of all creatures; the fragility of the human species; the uneasiness of life on a threatened planet. What makes a good narrator a great narrator is their ability to convey grammatically, the precise intent of the author to the reader; but by means of a speaker to an audience. 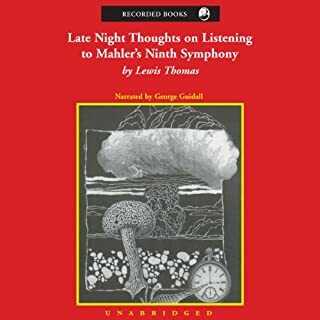 This Audiobook is the standard to which all Audio books should be held-pure audible bliss. As far as the content goes, one would be hard pressed to find a more knowledgeable, a more, well rounded medical collection of notes and observations than those contained in this book. 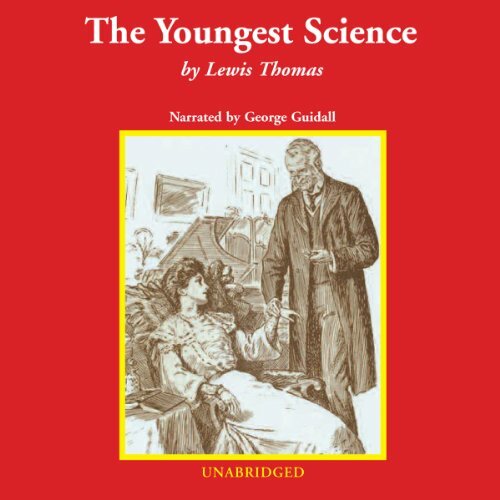 THE YOUNGEST SCIENCE is written in a time so as to describe the evolution of modern medicine thru the early 20th century. 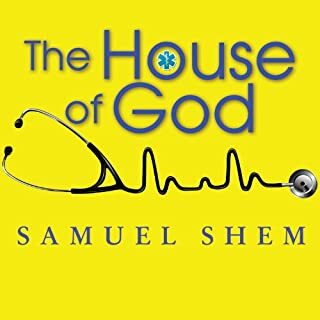 This book, written in 1st person, follows a man thru his childhood memories of having a Dr. for a Father, and a Nurse for a Mother; and on into a glorious career into medical school, research laboratories and married life. It delves into being a good neighbor, a good patient, a good Dr. as well as a good patriot, a good Father and a good husband. 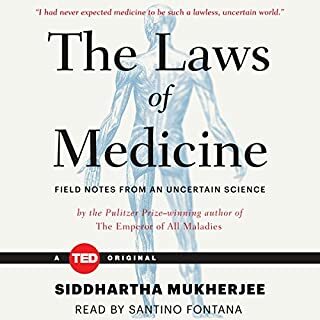 Beautiful written, and impeccably narrated, THE YOUNGEST SCIENCE, through the eyes of one man, reveals the anatomy behind partnership, professionalism, medication, and the timeless practice of medicine. From medical student, to residency, to Dean of entire medical departments. From renowned work in Pathology, to city council movements and budget planning. 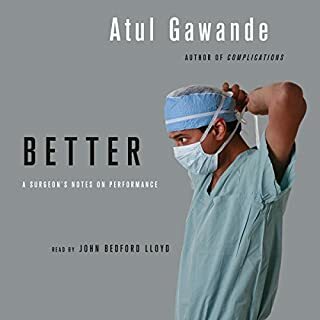 From Minnesota to Yale to Boston and France, and to home sweet home NYU and the staff at Bellevue Memorial, if youre a medical student, a Dr. or just a regular guy like me (but especially if you're a nurse) this is a must read. If you like Dr. Thomas, you will like George's narration of his memoirs. The minimum length of a review is 15 words, so I will add a few more.